Recently we discovered Ichigo’s doppelganger. Here is a photo of the two of them. Can you tell which one is Ichigo? 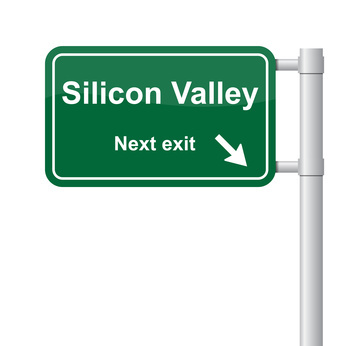 In the old days (15-20 years ago), start-ups in Silicon Valley would raise their initial outside financing through a vehicle called a “skinny” preferred stock financing. This was a simpler version of a typical VC preferred stock financing. The company would issue preferred stock to the investors, but the terms of the preferred stock were limited to dividend and liquidation preferences, enough to justify the price differential with the common stock. These days, I guess this would be called a “Series Seed” financing. But now, it seems that more and more start-ups in Silicon Valley are raising their initial outside financing through convertible note financings. In a typical convertible note financing, the investors will provide their initial investment in the form of a loan, which will be automatically converted into stock of the company (usually preferred stock) at a future time upon the satisfaction of certain conditions. So, why are these convertible note financings so popular? Well, it’s because convertible note financings have several advantages over preferred stock financings, even simple ones like “skinny” preferred or Series Seed, which benefit both the company and the investors. Even in the simplest preferred stock financing, the parties must negotiate a price for the shares, or a valuation for the company. This is always challenging for a private company, especially a start-up. In a convertible note financing, the negotiation on valuation is deferred until the notes convert into stock of the company. Even in the simplest preferred stock financing, the parties must negotiate the terms of the preferred stock. This means that an amendment to the certificate of incorporation is required, which means that a filing with the secretary of state is required. This means time to review the document by the secretary of state, and possible comments, which means more time and expense. In addition, there would be a stock purchase agreement and maybe another agreement or two (such as an investors’ rights agreement and/or a stockholders agreement), depending on the course of negotiations. In a typical convertible note financing, the only documents are a note purchase agreement and a convertible promissory note. And, in their simplest forms, these are fairly standard forms that don’t require a lot of negotiation. This also saves time and money. Even in the simplest preferred stock financing, the investors will typically conduct some operational and legal due diligence, because the investors will become part owners of the business when they become stockholders. Contrast this to a convertible note financing, where the investors are essentially lenders until the notes are converted. Because they are not owners of the business at the initial stage, they are less concerned with the company’s operations (although the investors would still need to conduct some basic financial due diligence to assess the repayment risk). Then, at the time the notes convert (which is usually automatically upon a financing that raises a specified amount), the lead investor of the preferred stock financing will most likely conduct a complete due diligence. Not only is the note holder able to piggyback on the efforts of the lead investor, it can also avoid at least some of the cost. For the investors, the convertible note financing is a risk hedge. Before the notes are converted, the investors are lenders, which means that they have priority over the stockholders in their claims against the company if the company doesn’t get funded. And if and when the note holders become stockholders, the company will be funded. The convertible note financing also leaves the decisions on valuation, document negotiation and due diligence to the lead investor in the preferred stock financing. As mentioned above, this not only allows the note holder to leverage the experience of another investor, it alleviates some of the cost burden. For the company, the convertible note financing allows the company to raise funds without incurring obligations to stockholders. Stockholders have certain statutory information and inspection rights, but lenders and note holders do not. They may have certain contractual rights, but this is a matter of negotiation between the company and the note holders. In addition, because the note holders will not become stockholders until a later time (i.e., when the notes convert), the dilution to the other stockholders may be less, if the value of the company has increased between the time of the convertible note financing and the conversion of the notes. In a future article, I will discuss the terms of note financings in more detail. But what about convertible equity, such as a SAFE or KISS? This will also be discussed in a future article.